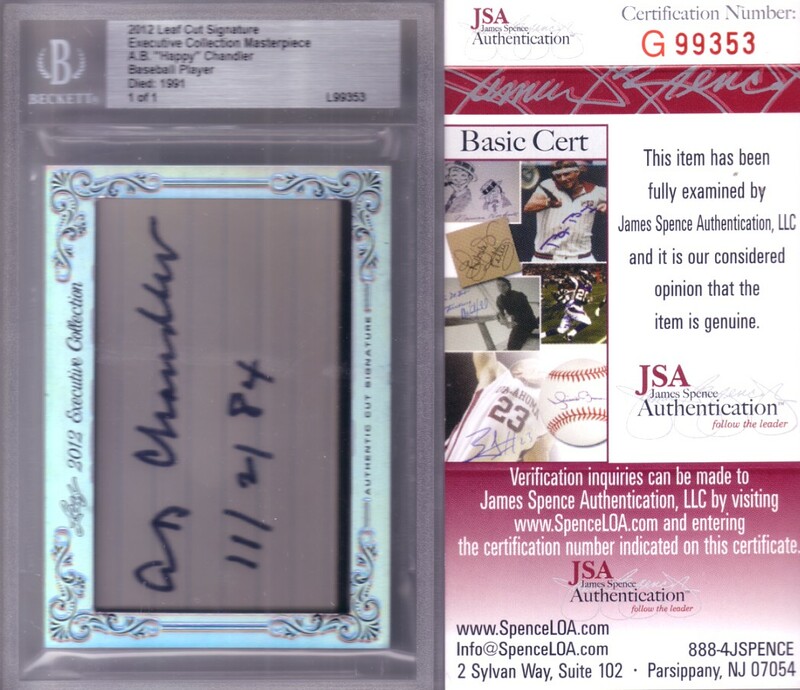 2012 Leaf Executive Collection Masterpiece authentic cut signature card of the late Baseball Hall of Famer A.B. Happy Chandler, the second commissioner of baseball who also served as a U.S. Senator and two time Governor of Kentucky. Chandler, who dated this signature 11/2/84, died in 1991. This is a unique 1/1 card that is slabbed (not graded) by Beckett Grading Services. 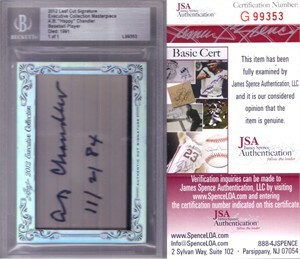 With certificate of authenticity from JSA (the certification number matches the number on the label).